At Experience Days, we have a taste for all things ridiculous – and you can’t get more ridiculous than zorbing! If rolling downhill in a three-metre, inflatable hamster ball sounds like your idea of fun – you’re in the right place! In this section, you’ll find zorbing and sphereing experiences in locations across the country. 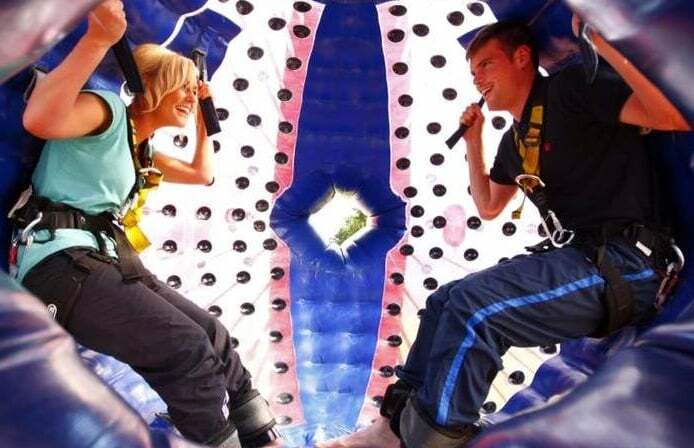 These include high-speed harness zorbing and wet’n wild aqua sphereing packages, for individuals and pairs. An Experience Days voucher makes a unique gift for any fun-loving friend or family member. So, why be boring, when you could treat them to an afternoon’s topsy-turvy lunacy instead? Since 1994, when two entrepreneurial New Zealanders first conceived of the idea, Zorbing has taken the world by storm. Today, thousands of thrill-seekers take the plunge each year. The wacky sport has spawned several variations, and world records have even been set – including a fastest 100-metre time of 26.59 seconds! Purpose-built, inflatable spheres now hurtle down slopes worldwide – from the US to Japan. Happily, the UK is also home to some excellent zorbing venues. In this section, you’ll find gift vouchers for experiences across the country. Among these, we have both harness and aqua zorbing packages. Lucky voucher holders can strap in for the high-speed ride of their life, or tumble downhill with a few bucketfuls of water for company! If you can’t decide which they’d prefer, look out for our combo vouchers, and treat someone to the ultimate sphereing day out! Zorbing is a great shared activity, and that’s why many of our vouchers cover the cost of two participants. Surprise a mate with a voucher from Experience Days, and they’ll just have to bring you along! Can I take part in this zorbing experience if I am pregnant? For safety reasons, Harness Zorbing or "Sphereing" is NOT suitable for those who are pregnant. For a full list of medical restrictions, please view the Restrictions tab on the product page.